Croatia’s isles are closer knit than the Greek islands, so trying to island-hop here isn’t as epic an undertaking as it would be in Greece… but just as exciting. There are more than 1000 islands dotted along the Croatian coastline, lapped by the clear blue waters of the Adriatic Sea, and they are as varied in size as they are in character. Some make great day trips from the mainland resorts or from the cities of Dubrovnik and Split. While clusters of smaller, more remote islands inspire a more nomadic approach and a few nights spent here and there. There’s an island and a style of Croatian island-hopping to suit every visitor here, and these are just a few facts, figures and snapshots of the highlights to inspire you. Take a day-trip from Dubrovnik to the car-free island of Lopud. But be careful, you might never want to leave the sandy beach and scented fields that feel a world away from busier high-season resorts. Lopud is one of the Elafiti islands northwest of Dubrovnik. 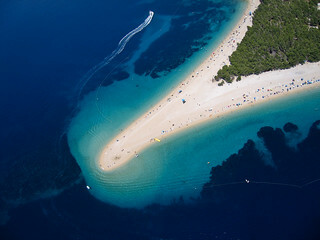 Getting there: A foot-passenger ferry sails between all of the Elafiti islands (Sipan, Lopud, Kolocep) from Dubrovnik. Brac (pronounced Bratch) is the largest island in Croatia’s Dalmatian region and the third largest in the string of Adriatic outcrops. Here the beaches are pristine and sandy or secluded in coves; perfect for families. Windsurfing and scuba diving are popular pastimes, as is eating and drinking in the bars and family tavernas of Bol village. Getting there: Trips by passenger and car ferries from Split to the island take about 50 minutes. Where the scent of lavender and pine lingers in the air, and the international jet-set linger in the harbours on their mega yachts. Hvar claims to have the most sun and the most vegetation of all the islands, which is why it’s dubbed the “Croatian Madeira”. 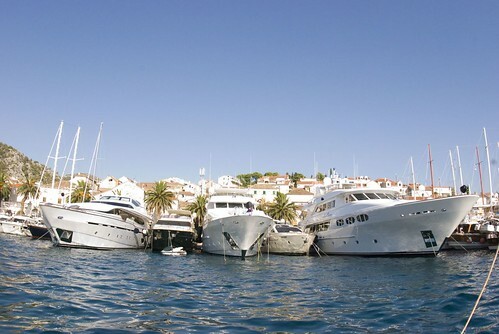 Getting there: Ferries from Dubrovnik and Split call at Stari Grad town on Hvar’s north coast. 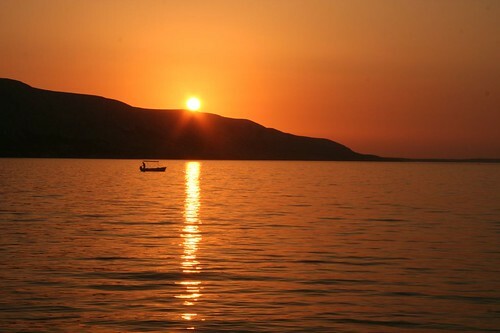 Novalja town on Pag is said to share the same spirit as Ibiza. Sundowners and all-night parties in open-air clubs are at their busiest in early August. Pag cheese and Pag lamb are famous across Croatia, and might help some people deal with their hangover. Getting there: Pag is connected to the mainland city of Zadar by causeway, so you can make the 30 minute trip by bus or car. Croatia’s smaller islands attract holidaymakers who want to experience life off-grid, away from traffic, noise, the internet, and even electricity and fresh running water. The wild little isle of Palagruza, for example, has nothing but two pebble beaches and a 19th century lighthouse to call its own. 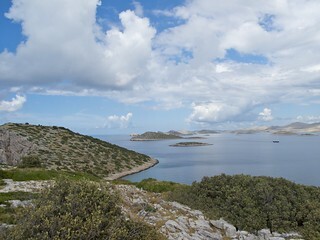 Likewise, Kornati is an archipelago of islands and a national park of 100-ish islands and reefs. God created them “out of tears, stars and breath,” said George Bernard Shaw. They are mainly uninhabited and a supply boat visits what is one the world’s most secluded hotels, Kornati Cottages, just once per week. Relax, hire a fishing rod, row a boat or read your book. Nice article, it’s great that more and more people are visiting the beautiful islands of Croatia, as it becomes easier to hop between them or stay on one and take trips to explore others. Just a few to add to your list, Korcula – probably one of the best places to relax and enjoy the Mediterranean chilled lifestyle, swimming and snorkelling in stunning secluded bays (2&1/2hrs catamaran from split or ferry/catamaran from dubrovnik). Mljet – beautiful island with a large national park, great to take a kayak over to the small Monastery islet on Mljet (ferry from Dubrovnik). Finally Lastovo and it’s surrounding archipelago with it’s rich culture and traditions (ferry/catamaran from split and dubrovnik). You can also get from Korcula to Mljet and Lastovo. I have been thinking about going to Croatia for quite some years now, but every year I end up in Spain, the Caribbean or Hawaii. I’ve heard from a lot of people that Croatia is a must see place and I’m sure of that. The pictures above only confirm that. Croatia is certainly on my ‘the country I want to visit next’ list now.